Eeek! I forgot to update yesterday. I was so busy taking care of my husband after his wisdom tooth extraction I completely forgot! So many things pureed in a day. This tasty appetizer was inspired by an idea in the PC insider’s report this year. They suggested building your canapes on cucumbers instead of crackers. Brilliant! 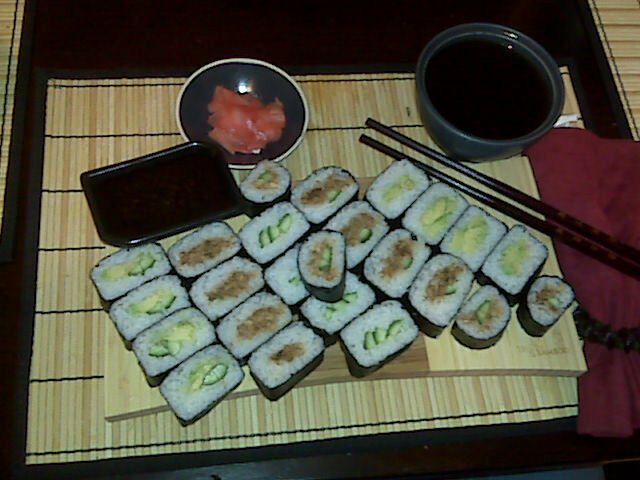 So very tasty too. 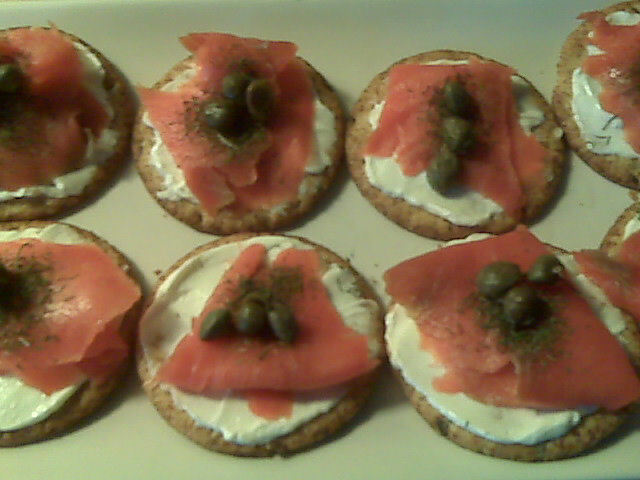 I found them refreshing really, so I decided to revisit my favourite canape. This particular picture was taken by my husband. Combine the cream cheese, dill, lemon juice, and garlic. Blend until smooth. 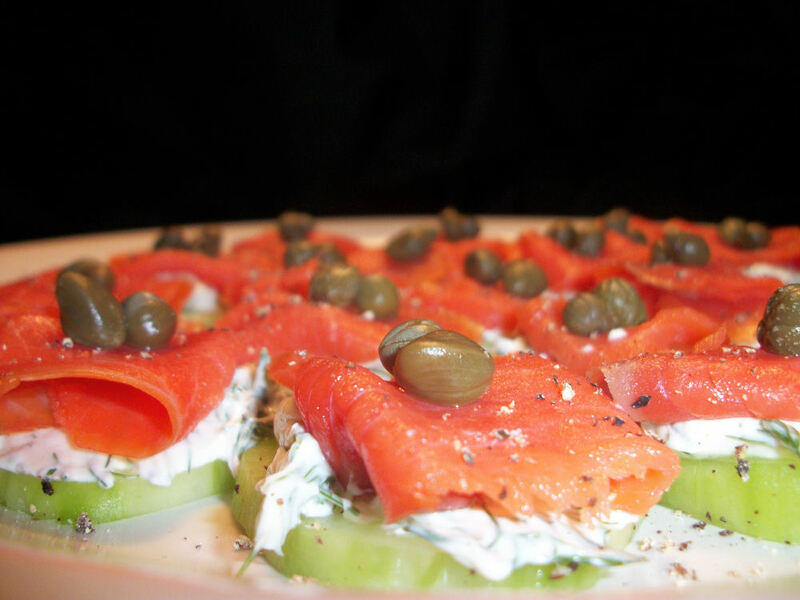 Spread a layer of the cream cheese on the cucumber slice, top with a piece of smoked salmon and two capers. Repeat for all of the cucumber slices, crack pepper over the canapes to finish. So simple and tasty yet so fancy too. Makes 40 canape. Each canape is 11 calories, .6 grams of fat and .1 gram of fibre. Which I think is really awesome for a party food! Apparently, I’m supposed to be eating two fish meals a week. I’m pretty bad about that I’ll admit it. Not sure why either, I love a great deal of fish and seafood. 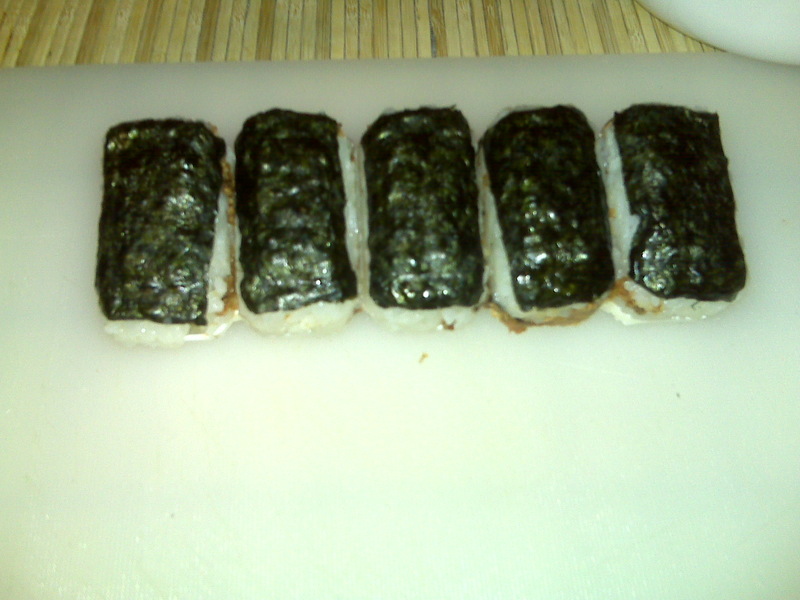 Not tuna though…bleh. I love salmon especially. 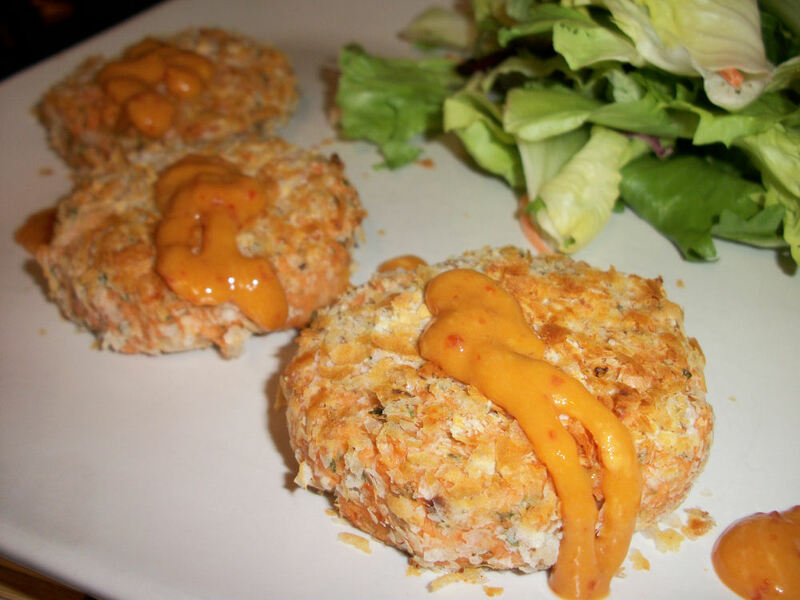 It is such a fun fish to cook with and makes great fish cakes just bursting with those omega three’s we keep hearing about. By using tinned salmon apparently I also make it absolutely full of calcium, more so than a glass of milk. It’s the bones. The canning process makes them soft and edible, you can mash them down right into your mix. Calcium and omega three’s? Sold! Combine all except the 1 cup of breadcrumbs in a bowl. 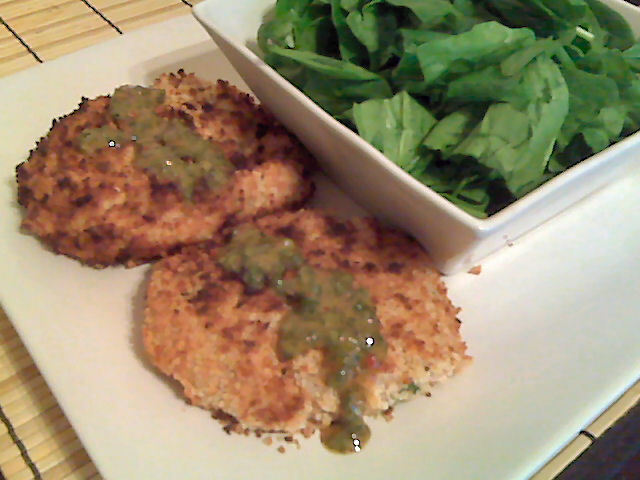 Dip the patties in the 1 cup of panko breadcrumbs. This makes six patties that will be smaller than in the picture. I had attempted to make meal sized patties this last time, they were good but not as much fun as the smaller sized ones. Each patties is 106 calories, 4.5 grams of fat, and 0.5 grams of fiber. Great paired with a salad! For sauces I recommend a mustard based sauce, I love to eat these with just a bit of President’s Choice sweet and hot mayo. 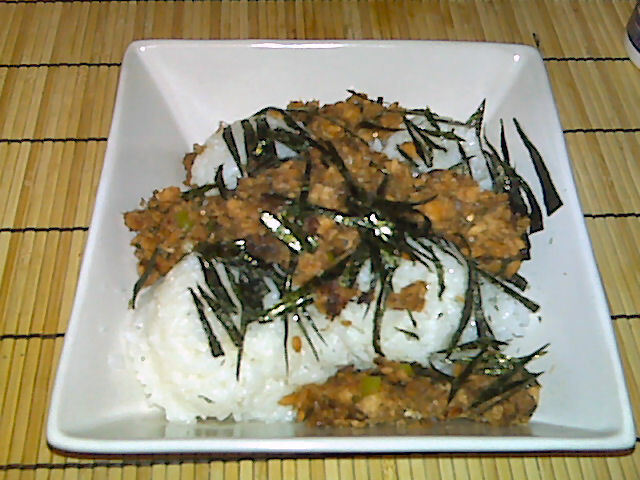 The sauce in the picture was a mixture of some dijon mustard, a bit of rice wine vinegar, tarragon, and dill. Good but not as good as just sweet and hot mustard.